2018 was the hottest year in France since modern records began in 1900, the French meteorological service said Friday. 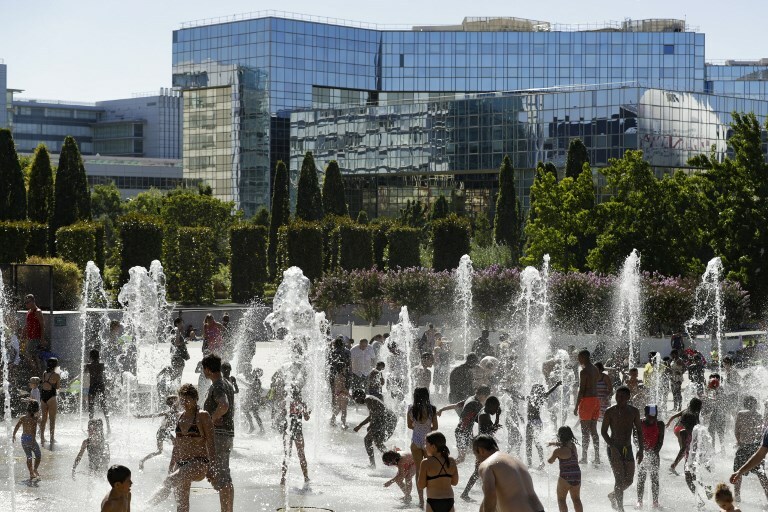 "This year was the hottest France has known since modern meteorological measures came into use in 1900," Meteo-France said. The average temperature of 14 degrees centigrade (57.2 Fahrenheit) was 1.4 degrees above the average recorded between 1981 and 2010, it said in a statement. That put it ahead of two other remarkably hot recent years, 2014 and 2011, which were 1.2 and 1.1 degrees above the average. The year began with an unseasonably warm January, but temperatures really began to soar in April which saw the hottest summer since 2003, when 15,000 people died during a prolonged heatwave. "From April to December France had nine consecutive warm months," Meteo-France added. "We have not seen such a sequence since the beginning of the 20th century." Parts of the north and east of the country have been hit by drought while 14 people died in flash floods in the southwest. Parts of the Alsace and Lorraine regions close to the German border had nearly a third less rain than normal during a prolonged dry spell that lasted long into the autumn.